Visitors to the Southern California Fair in Perris this weekend can sample brews from 17 different breweries from Southern California and beyond. 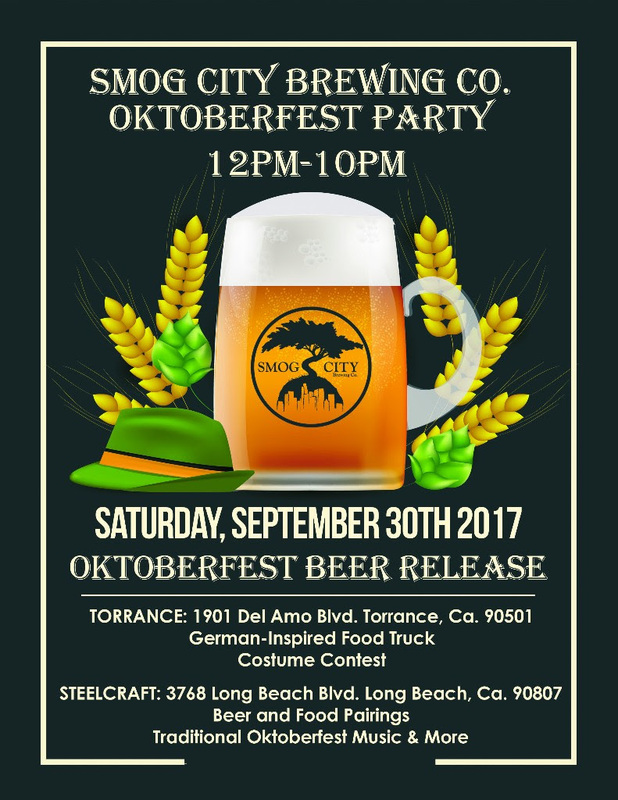 Congratulations to the fine folks at No Clue Craft Brewery, who are celebrating the Rancho Cucamonga brewery’s third Anniversary ALToberfest from noon to 11 p.m. tomorrow (September 30). Has it really been two years? At the time Riverside’s Thompson Brewing Co. closed — back in August 2015 — I noted that the brewery would be closing for “a few months” while it relocated to a much larger space across the street at 9900 Indiana Ave., Suites 6 and 7. Well, compared to a thousand, 25 is a few. Shout out to Jakprints.com for these AWESOME Solorio Brewing Company coaster!!! We’ve been anticipating the opening of Rancho Cucamonga’s Solorio Brewing Company for well over a year now, following their progress via their Instagram account. Proposed opening dates came and went. Until recently, their Instagram bio still indicated they were planning to open in January 2017. 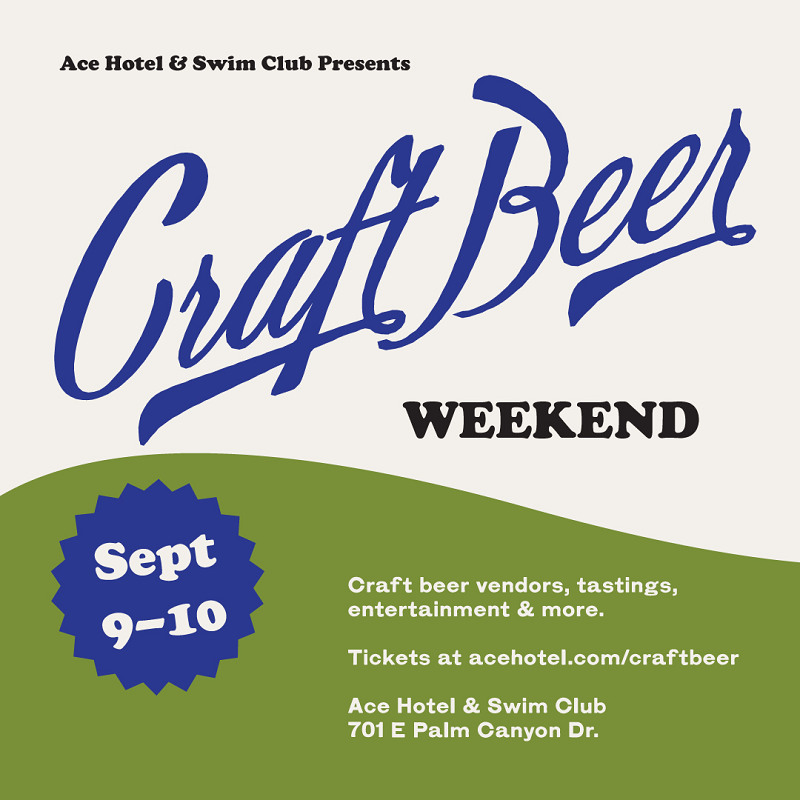 The Ace Hotel & Swim Club in Palm Springs is hosting its sixth annual Craft Beer Weekend on Saturday and Sunday (September 9 and 10). 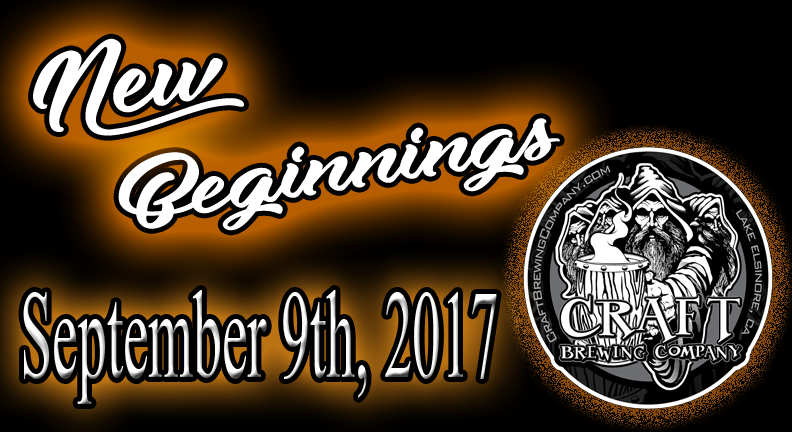 One of the Inland Empire’s oldest — since 2010 — breweries, Lake Elsinore’s Craft Brewing Company, is celebrating “new beginnings” on Saturday (September 9). While you’re waiting for the Hurricane Harvey fundraiser at Homage Brewing in Pomona tomorrow (September 3), you can help the victims of the hurricane at three other Los Angeles County breweries. 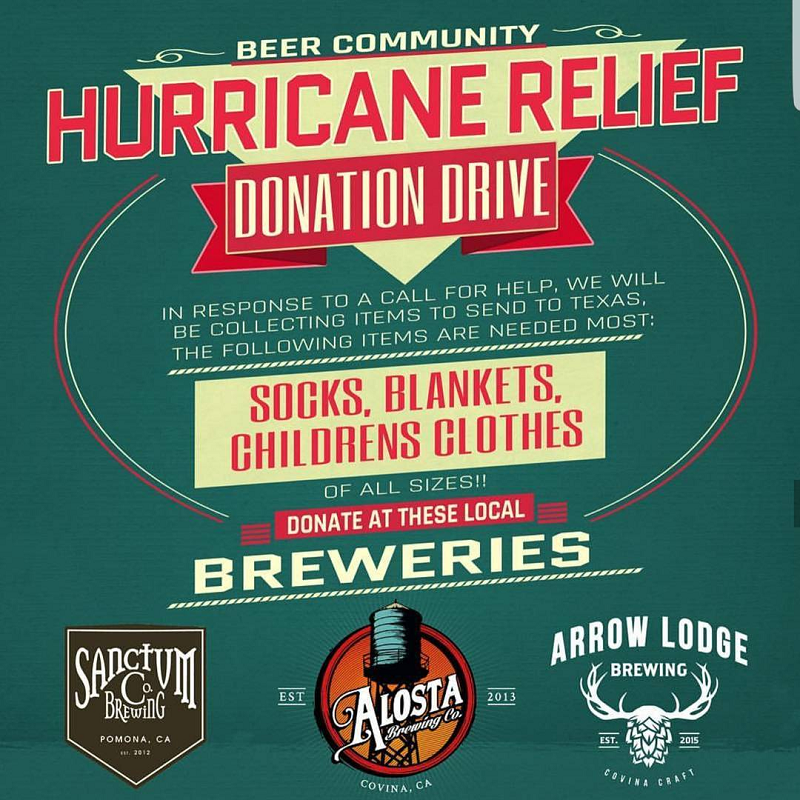 Want to help victims of Hurricane Harvey while sipping delicious craft beer? Then head to Pomona’s Homage Brewing on Sunday (September 3).